Buddy Gross' day-3 bag at the Lake Toho FLW Series was his lightest yet, but it moved him to the top of the standings. It’s a tried-and-true winning formula in Florida – get in a decent-sized area and milk it for a giant kicker and four solid fish each day. Buddy Gross apparently didn’t get the memo. On a day that saw all the top 3 anglers from day 2 all trip up, Gross continued to be the image of consistency at the FLW Tour event at Lake Toho. 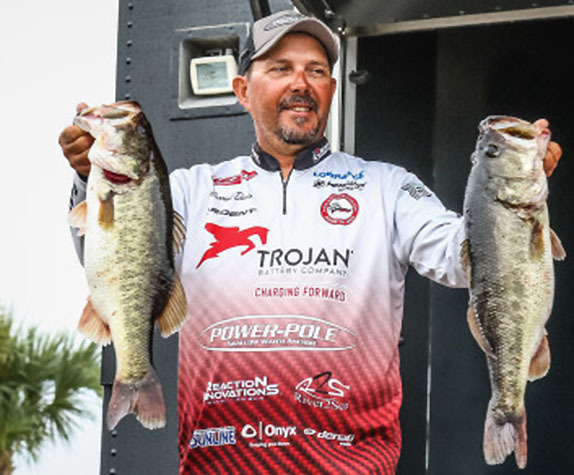 The Alabama pro cracked 21-07 and 20-13 the first two days, and then backed it up with 19-12 on day 3 to jump into the lead with 62 pounds even. 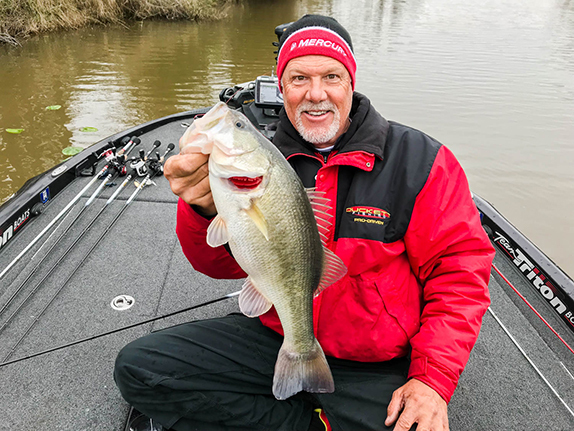 Amazingly, he’s accomplished this consistency with no kickers over 5 1/2 pounds – a small fish considering the numerous 8-, 9- and 10-pounders that have crossed the stage. And 14 of his 15 fish coming from one tiny spot. How tiny? 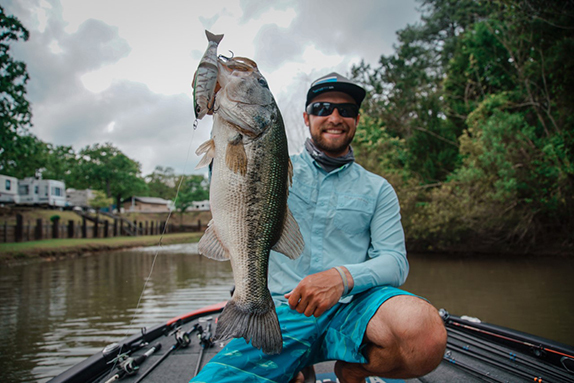 In a chain of lakes lush with vegetation, Gross has located a tiny indent in an offshore grass flat of Toho where bass are sitting on the edges and then trapping bait that swim into the channel. How he knows this is from time to time he actually watches one do it, waking up on the surface to trap a baitfish against the edge of the indent. No surprise, every time he sees that, he catches one. Considering the pressure system that moved in today and brought strong winds, clouds and some late rain, Gross figured he may finally get some of those big kickers today. Yet, it never happened. That’s not a concern for guys like John Cox, Braxton Setzer, Casey Scanlon and Terry Bolton. The anglers who resided in the 1st, 3rd, 7th and 9th spots, respectively, after Friday know their spots have run dry, as none brought in a double-digit bag today. Aaron Britt (2nd place after day 2) and Scott Martin (4th place) also struggled mightily today, though Britt’s 12-03 bag was more a product of lost fish than disappearing fish. It was hardly a bad day of fishing for many pros, though. Darrell Davis' 25-12 haul moved him into 2nd place. Tommy Dickerson only made the top-30 cut by a couple ounces, but he’d been saving a spot in hopes he’d finally get some wind. 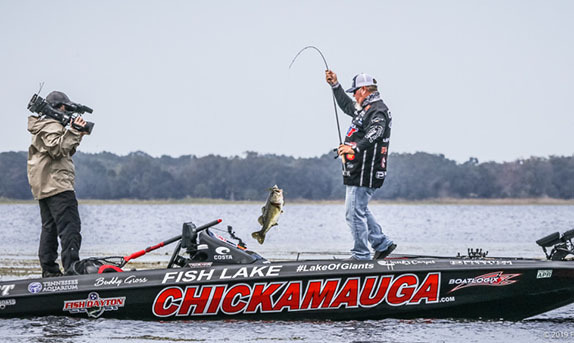 He got it today, and the result was pulling up on the spot first thing and catching “6-pounder, 6-pounder, 6-pounder.” He brought in 24-01 to jump from 28th to 8th. Wade Strelic also did some moving, climbing from 15th to 6th thanks to a 22-13 limit. No one had a better day than Darrell Davis, though, and he lost the fish that would’ve helped him bring in a 30-pound bag. Making the long run to the south end of Kissimmee, Davis is fishing for spawning bass he can’t see via a combination of moving baits and flipping. After practice he said he was “pretty amped” about what he’d found down there, but day 1 saw his area covered in boats, including the small section he considered the best. That's resulted in back-to-back 20-pound bags on days 2 and 3, capped off with the biggest bag today, a 25-12 limit that was anchored by a pair of 7-pounders. Davis mentioned his spot was getting even better today, as the lack of boats finally allowed more big spawners to move in, and he says he’ll be the only boat in there tomorrow. Problem is, it’s such a shallow spot, he’s worried all the rain tonight and continued wind could run the fish out of his area. Of course, that could be said by any of the top 10 at this point. According to the forecast, it looks like most of the rain should be gone by mid-morning, but anglers will still face a steady, switching wind and the first full day of clouds since practice. 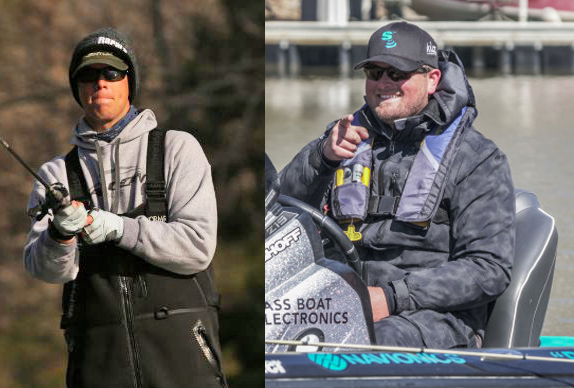 And with the top 6 anglers separated by less than 5 pounds, one giant kicker could lead to a six-figure paycheck on the final day. > Day 3 stats – 30 anglers, 27 limits, 2 fours, 1 three.